On arrival to Kigali International Airport you will be met by our representative and transferred to your centrally located hotel. This evening is at your leisure to explore the capital of Rwanda with its vibrant restaurants and bustling nightlife. This morning you will depart on a city tour of Kigali and stop by the Kigali memorial genocide where you will go through a small history of the genocide. 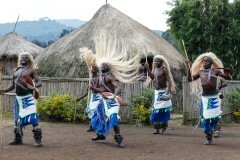 After lunch, you will be transferred to Volcanoes National Park, time permitting, visit the Iby’Iwacu cultural village for the Rwanda cultural performances and dinner. Early breakfast this morning following a drive to the Rwanda Development Board office, you will be provided with a short briefing and split you into your Gorilla tour groups. Your Gorilla trekking will last between three and six hours, depending on how far the visited group is located or how quickly the gorillas are moving as they search for food. Your guides leading the tour are from the national tourism board and in constant radio contact with trackers. 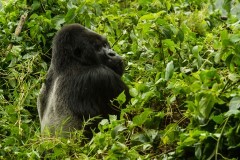 Once the gorillas are sighted, your group will remain with them. Once you have finished your Gorilla tour we will return to the car and drive to the foot of the volcano to begin the walking tour. Lunch today will be provided at the Lodge or a boxed lunch if necessary. The the afternoon is yours to spend relaxing at the lodge or take part in optional activities around the area. Spend the day relaxing by the lodge's facilities or you might like to participate in optional activities such as a second gorilla trek or a golden monkey trek. 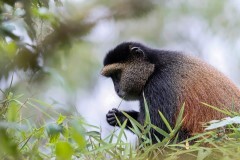 Transfer to Nyungwe National Park via the shores of Lake Kivu. En route you will visit Kibuye town which is one of the many on the shores of Lake Kivu for spectacular sceneries. Have lunch and later proceed to Nyungwe Forest National Park. Arrive at the Lodge in the evening. The park is also popular for sheltering the largest troop of black and white colobus monkeys. Return to your hotel for lunch and in the afternoon headout for a canopy walk adventure or colobus monkey tracking.